Miami In Focus Photo Gallery of the Arsenal E64 in Central Park. This historic building, purposely designed to resemble a medieval castle, with its eight battlements, originally housed munitions for the New York State National Guard. 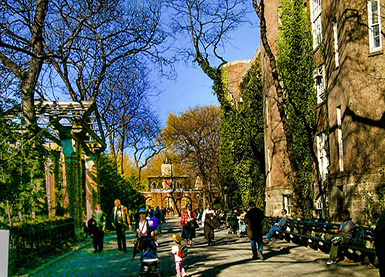 It predates Central Park and is one of the oldest structures within the Park grounds. 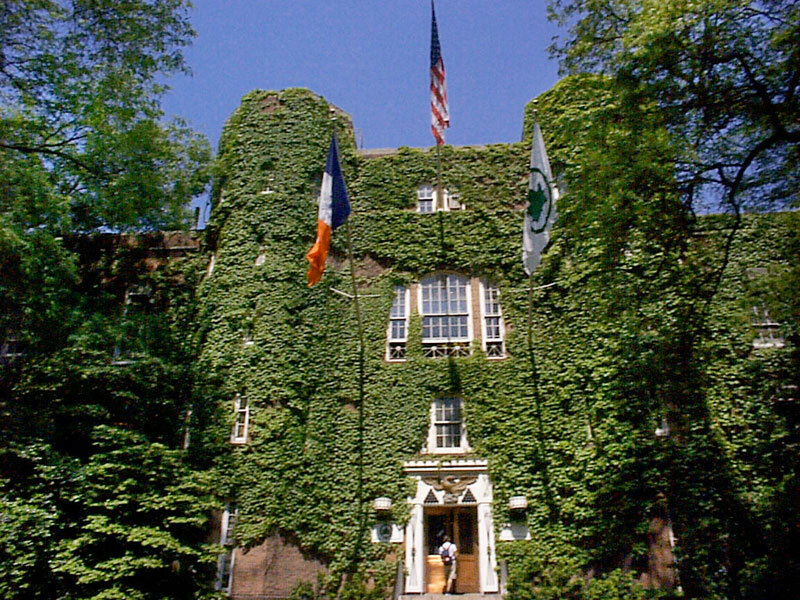 Originally the first home of the American Museum of Natural History, today it serves as the headquarters of the City of New York Parks and Recreation with offices for the Central Park Wildlife Conservation Center. Its entrance flanked by painted white muskets has two cast iron replicas of military drums on either side of the doorway. 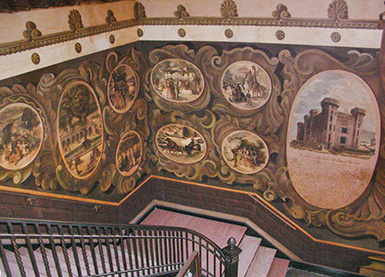 In the lobby, murals painted by WPA artist Allan Saalburg during 1935 and 1936, depict scenes of old New York and Park views.